Summer hasn’t officially come to an end, but as students head back to school and September creeps up, the season’s final days are quickly approaching. Since summer is winding down, we figured it was time to share a few of our favorite songs of the season. From “Apes**t” to “I Like It,” here are seven songs of the summer we enjoyed. Although it was originally released last year, 2018 actually ended up being the year of "Boo'd Up." We're sure you've heard the song at least once blasting from someone's car this summer. The song that inspired the #InMyFeelingsChallenge, Drake's "In My Feelings" still has fans asking, "Kiki, do you love me?" Cardi B released her debut album, Invasion of Privacy, back in April but her hit single "I Like It," featuring Bad Bunny and J Balvin, proved to have staying power. 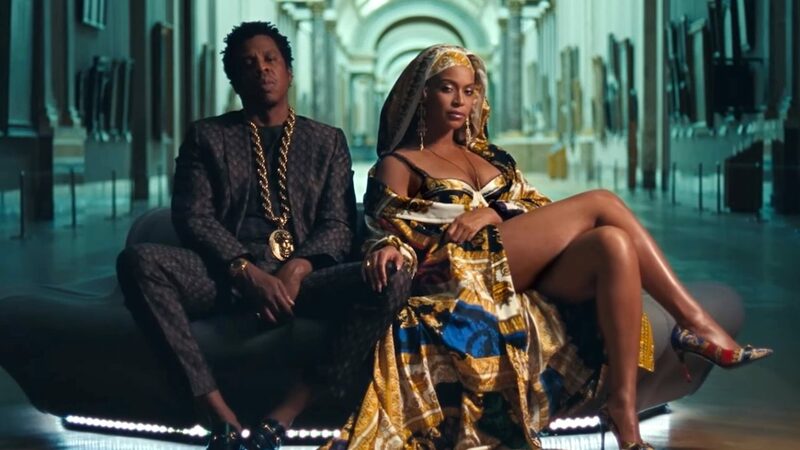 The Carters pulled out all the stops with their video for "Apes**t," taking fans around Paris' Louvre Museum for one of the most iconic videos of the summer. Gambino's "This Is America" went viral as soon as it dropped, sparking conversation about race and what it means to live in America. "Make Me Feel" caused quite a stir when it dropped, leaving fans to speculate about Monáe's relationship with actress Tessa Thompson. But it's not just Thompson and Monáe that bring the video to life. The song's Prince influence and funky vibe make it absolutely perfect. Drake's second appearance is due to his anthemic "Nice For What," which had women across the world feeling themselves and dancing in the club.